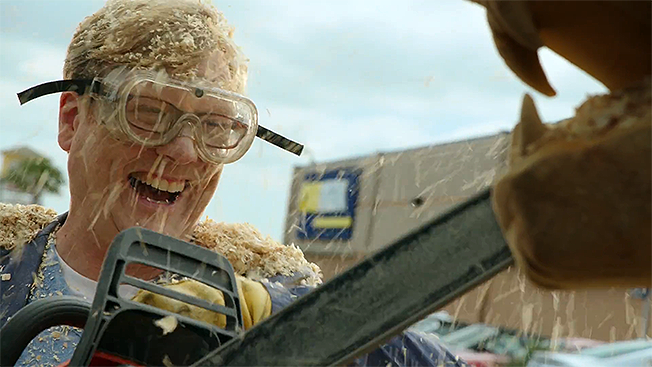 If you've seen Comedy Central's Review then you know comedian Andy Daly's wonderfully dry, earnest delivery and that's exactly what he's employing in a new campaign for CarMax. The new spots, from Durham, N.C.,-based McKinney, use humor to comfort consumers while they prepare to make such a major purchase, like that of a car, according to CarMax's CMO Jim Lyski. "We wanted to help put consumers at ease and here's this guy, this character that Andy plays, and it felt like a good fit because he can be really funny and disarming but he's also very earnest," said Lyski. He added: "The brand is never the punchline; it's kind of that self-deprecation that he helps provide and so the humor is a bit disarming but his earnestness helps reinforce the seriousness of this decision for consumers." The spots were directed by Shawn Levy, who has directed films like Night at the Museum and The Internship. "For three days, we worked on site at the Oxnard, California, CarMax with a team of hundreds, including McKinney creatives and producers, shooting a number of spots," said Levy. "And they have a tone that I think, because they show Andy being Andy, is going to really land with audiences."